Recently I came across a post online that was providing a solution to duplicates in a data flow. As I was reading it, in it there was something that makes me cringe: a Sort transform. Those of you who know me know that the Sort transform in a data flow gives me nightmares at night, almost as much so as the Slowly Changing Dimension wizard on medium and large dimensions. As I was reading it, I kept thinking there has to be a better way than sorting the data inside of the data flow with that component. 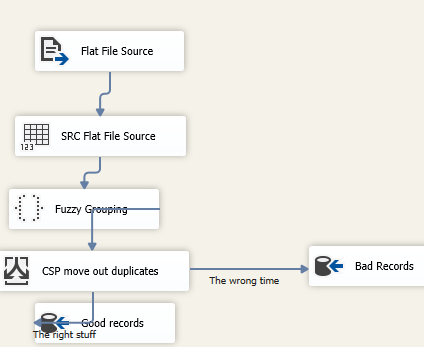 You could write a script to do it, but my personal opinion is to try and do as much in the data and control flow as possible without scripting, as I feel script components make SSIS much harder to maintain. I came up with an alternate solution, and I would like to use the rest of this blog post to prevent my findings. I’m also going to make an assumption that we don’t have DQS available in this environment. If you want more information on how DQS can help with this problem, see my earlier posts here. The first option we have is to use the Fuzzy Grouping component. 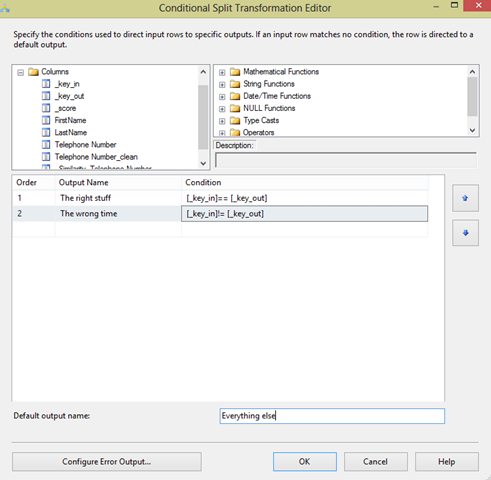 Let’s start by creating a simple SSIS package to pick up from the customer csv file. I’ve created a package, the source connection csv manager, and a flat file source in my data flow. We can tell by looking at the file that Bob and Robert are 99% duplicates of either. SSN could work just as well here, or something else as long as we know it really tells who a customer is and what makes them distinct (or product, or account, or facility, etc…) Moving on! 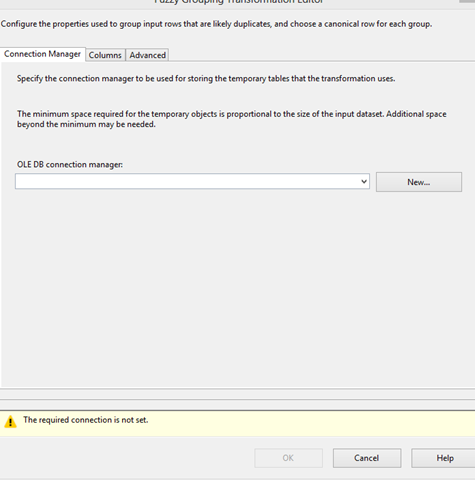 Let’s drag over and configure a fuzzy grouping component from the “Other Transforms” section of SSIS. Add the precedence constraint, and open it up. We can see that the bad records moved into the appropriate table for auditing, and our new clean records are now available for us to use! 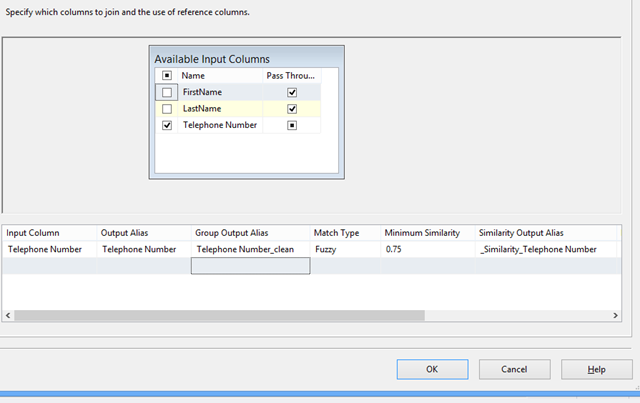 For all of its life, there have always been a lot of questions circulating around about data types in SSIS. 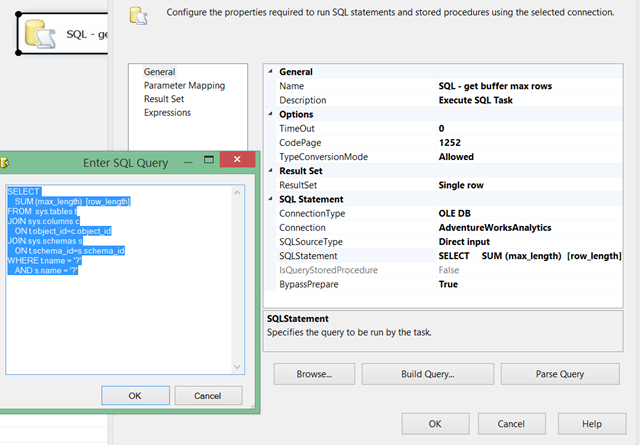 What does an int in SQL map to in SSIS? What about a varchar? nvarchar? The questions could just go on and on. But, finally, we have an answer. In the all new SSISDB in 2012, there is a view built specifically to answer all of these questions. 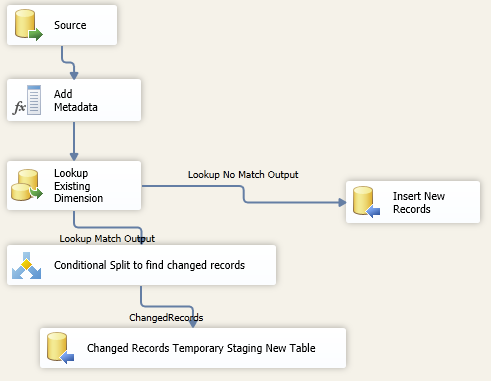 It’s called data_type_mapping, and exists as an actual table in the internal schema in tables. It’s a pretty small table, but it’s usefulness is far reaching. I’ve pasted the actual contents of the table here, for anyone who might not have SSIS 2012 or might not have the SSISDB set up. 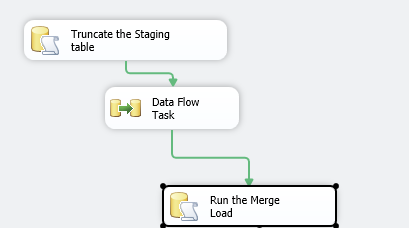 After you have your data flow task, open it and create your dimension like you normally would, the only exception is at the bottom left (in my data flow), where you would normally drag over your ole db command and destination to expire the old record and insert the new. Just drag over your destination component, and point the destination at your staging table that you created earlier. In my simple package below, you can see there isn’t much actual transformation happening. Just reading from the source, adding an IsCurrent and BeginEffectiveDate to the data flow, looking up to the existing dimension, and then identifying new records and changes. And that’s it. It’s only a couple more steps than you would already have to do to create a dimension but now you have a highly scalable package that can handle thousands of updates a day without worrying about performance. Below are the answers to some of the questions I received, followed by the sample code. I hope everyone finds it useful! What are the common types of dimension changes and what are the differences between them? Type 1 attributes are attributes (columns) within your table that do NOT track history. For example, if the color of my product was orange yesterday but today it is green I simply overwrite the orange value in the table and move on. Type 2 attributes are attributes (columns) within your table that DO track history. Using the same example, if my color was orange yesterday but changed when the package ran last night I would expire the orange record(showing that it is no longer current), and then inserting a new row with the color of green with a new start date and a current row. Let’s examine the different pieces of the statement real quick. The first portion (from the initial SELECT statement down to the FROM is where we’ll do our insert. We use the merge statement as a subquery inside of the from statement so the only records that will be inserted are those that are identified in the merge statement. The second part from the beginning of the Merge keyword to the end of the USING clause are where we’re identifying the business key between the source and destination so we can do our lookup. 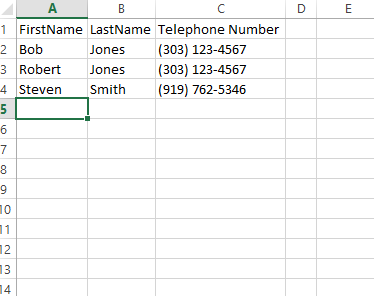 The third part of the query is doing an insert if the record previously didn’t exist. Since we’re having SSIS do the inserts if no match is found, this shouldn’t really ever need to write it, but it’s in there just in case. The fourth part of the query (the WHEN MATCHED part of the query onwards) is identifying if the business keys do match, what’s different? Anything? If it is different it will expire the current row and set the IsCurrent flag to N and the End Effective date into the table. 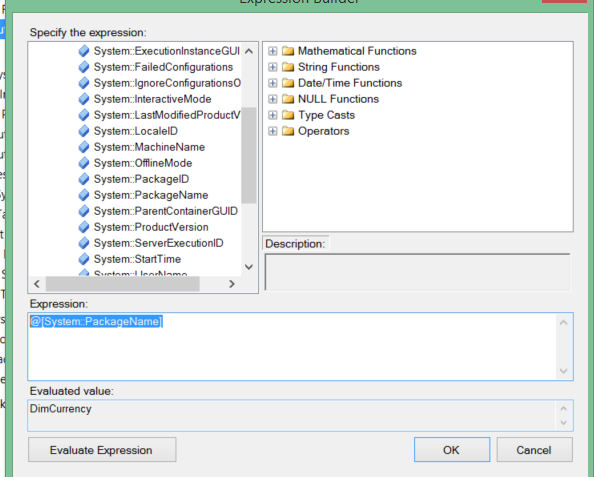 In my next post we’ll cover the SSIS portion of this package.